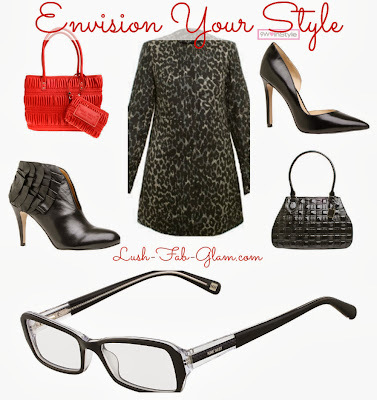 Lush Fab Glam Inspired Lifestyle For The Modern Woman: Envision Your Style And Enter The VSP + Nine West Sweepstakes. Envision Your Style And Enter The VSP + Nine West Sweepstakes. Fall is one of our favorite seasons when it comes to fashion and style because we get to layer on and add beautiful accessories and outerwear to our regular wardrobe. Whether you are heading to work, having a casual day out or getting dressed for a glam event/ night on the town your style matters. The accessories you choose from your eyewear to your shoes all determine whether you make a fabulous style statement or a fashion faux pas (and no one wants to do that). VSP individual insurance gives you access to a large selection of glasses frames from classic to modern and trendy styles including lenses and frames from the top fashion brands to suit every fashionista's personal taste. So you can rock designer glasses from your favorite labels without the expensive, budget tanking price tag. 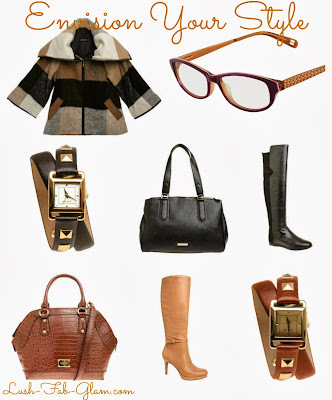 Read on to learn more about VSP Direct coverage, to enter the sweepstakes and to see more fabulous fall style ideas featuring VSP eyeglasses and stylish outerwear, shoes, handbags and accessories from Nine West. They include a trendy boho-chic style guide for casual days out and a work style to glam style guide that's perfect for a post-work dinner date or night on the town. 3. Work Style To Glam Style With A Vision. As the nation's only not-for-profit vision care VSP has spent the better part of a decade developing high-quality, affordable individual plans that are now available in every state. For as little as 41 cents a day you can receive VSP Direct insurance benefits for yourself or as a gift to someone else. VSP also has a convenient monthly payment plan available in 46 states that allows consumers to pay less than $16 a month for their coverage. We can't think of a more affordable way to insure your vision or style! Covers the eye exam with a low co-payment. Provides allowance for glasses or contacts, fully covered lens options. Lowest out-of-pocket cost in vision care with a typical annual savings of $227. 30,000 providers in convenient locations makes VSP the largest doctor network in the industry. Enter the style with a vision sweepstakes for your chance to win a Nine West shopping spree and a year of free vision care from VSP Direct by pinning your favorite 'style with a vision' it's that simple! 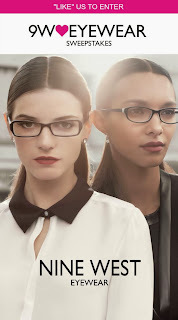 Do you incorporate your eyewear when styling your outfits? Share with us by leaving a comment below. Love the bag on left in #2 .I could work and with that .Right color and everything . I like the warm brown and caramel colors.